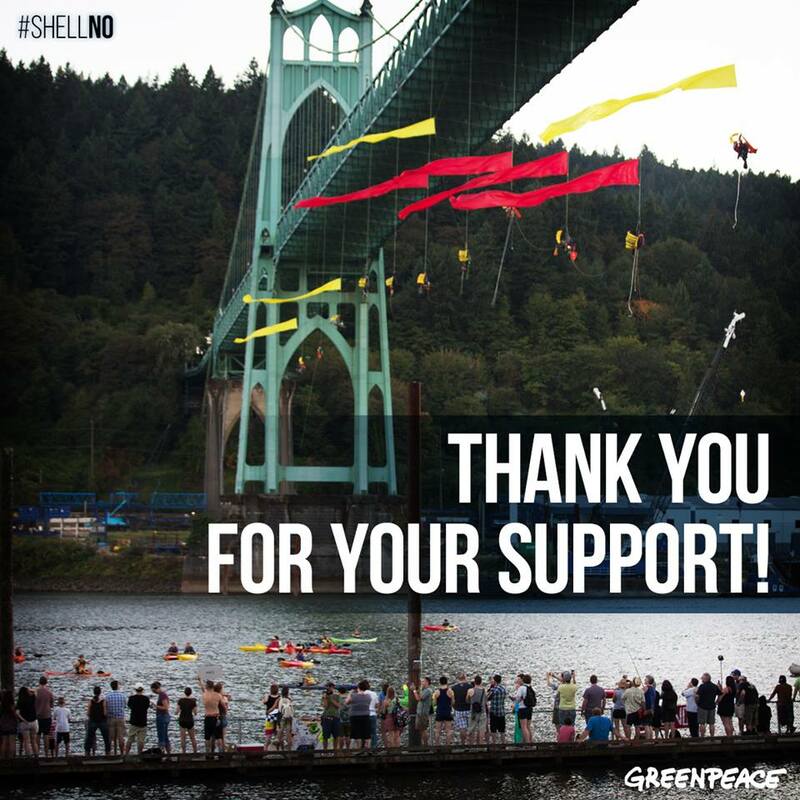 Seven people who hung off a bridge to stop Shell’s flotilla of ships bound for the Arctic oilfields. You don’t know them, but today they risked their lives for your future and that of the entire planet. 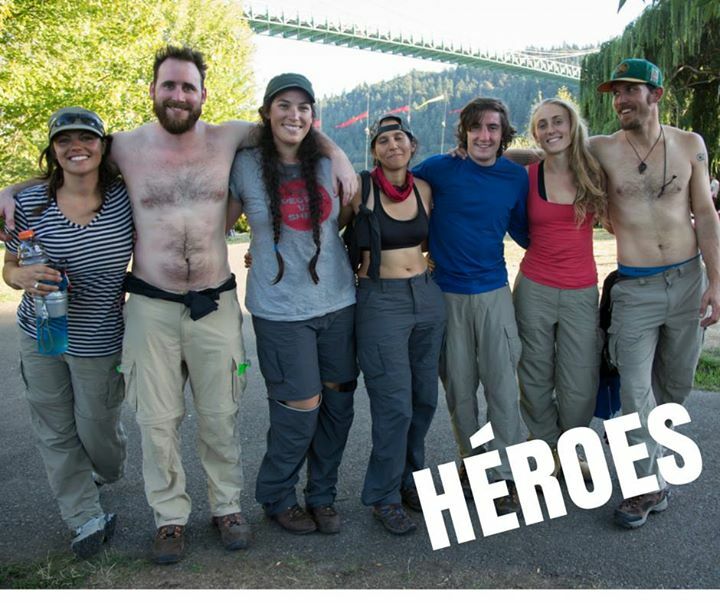 These seven of the 13 activists from Greenpeace USA spent 40 hours hanging from a bridge in Portland, Oregon to block the Shell ice-breaking ship on its way to the Arctic. When night fell, the cops pulled out of the place and allowed the ship to proceed. The struggle goes on. Shell has been given permission by the Obama Administration to start drilling for oil in the Arctic. This is one of the few ‘feedback loops’ in the onrushing climate disaster where we have some control over its initiation. Instead, the current administration is voting for ‘Drill baby Drill’. So–protest anybody (Repub or Dem) who thinks that drilling for oil in the Arctic is anything but a bad idea. In the meantime, you can leave the protesters a message on the FB page for Greenpeace Argentina. It’s here. People who read my posts here know that I am not optimistic about the ability of humans to avoid their collective date with the Reaper. But I’m a sucker for people who take things into their own hands. And this is what the thirteen were doing, if you missed it. that’s them hanging in those tethered harnesses. Greenpeace poster. This is what our heroes were up to. UPDATE/CORRECTION: This is the English Language petition to stop Arctic Drilling.